Congratulations to our clients who just purchased this beautiful Gray’s Crossing Townhome. This townhome is located in the Fairway Townhomes HOA and features an open floor plan, 3 bedrooms, 3.5 bathrooms, beautiful views, and sunny exposure. It also has a front-row location on the 3rd Fairway of the Gray’s Crossing Golf Course. Relax with friends and family around the stunning stone fireplace or enjoy the golf course views from the back deck. The open floor plan leaves plenty of room for everyone to enjoy time together in the mountains. The new Fairway Townhomes at Gray’s Crossing provide a sense of community with a wonderful lifestyle. These townhomes are centered around the award-winning Peter Jacobson/Jim Hardy designed championship golf course. This community provides golfers with a premier 18-hole mountain course experience that is challenging, fun, and keeps people coming back for more. Owners at Gray’s have access to a well-appointed fitness center, hot tub, and swimming facilities. Overlooking the golf course, PJ’s Bar & Grill offers one of the best outdoor dining options in Truckee, CA. 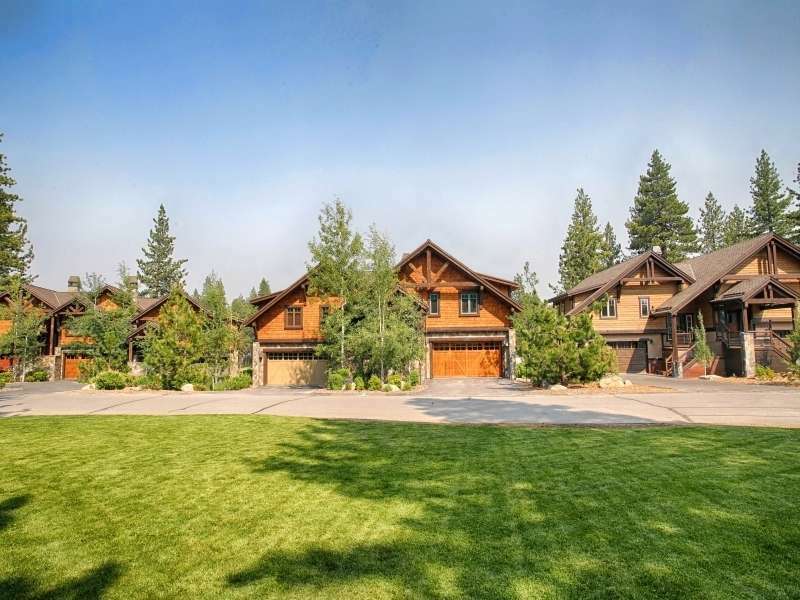 Gray’s Crossing is one of Truckee’s most desirable neighborhoods. It has close proximity to Downtown Truckee, numerous ski resorts, and quick access to Lake Tahoe and Donner Lake. In addition, Prosser Lake is just down the road and is a great place to swim, fish, paddleboard, and enjoy time with friends and family. Downtown Truckee offers some of the best restaurants in the region as well as numerous one-of-a-kind artisan shops. In the winter months, enjoy easy access to Northstar Resort & Squaw Valley Alpine Meadows, two of the best ski resorts in the region. Located within the Fairway Townhomes HOA providing access to the Gray’s Crossing Swim and Fitness center. Centrally located providing easy access to Downtown Truckee, nearby ski resorts, hiking/biking trails and much more!